Small Group Tour - 7 guests max on the ground and 3 guests max on the helicopter. Only Circle Island Tour combining a ground tour with a 30 minute helicopter flight. 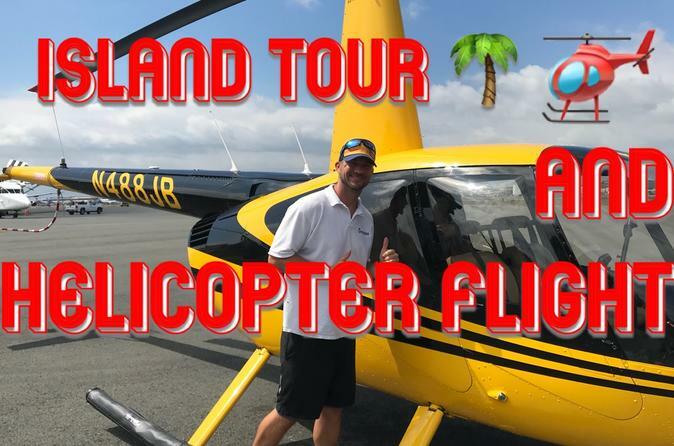 Ground Tour AND Helicopter Flight Combined! This will be one of the best experiences of your Hawaii Vacation. DanielsHawaii 5 Star rated ground tour and the exclusive services of 808Airmen will make this day unforgettable!